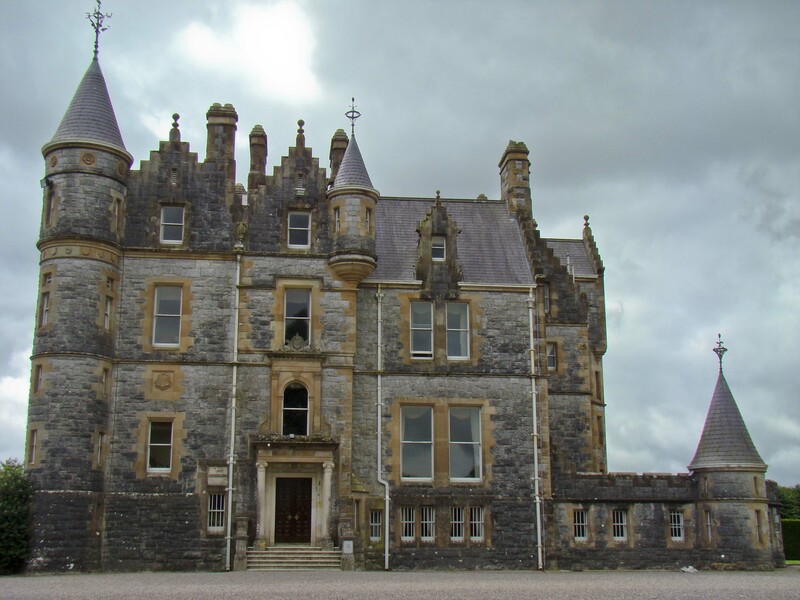 With a magical history, Blarney village offered a variety of wonderful sights to see and places to discover. 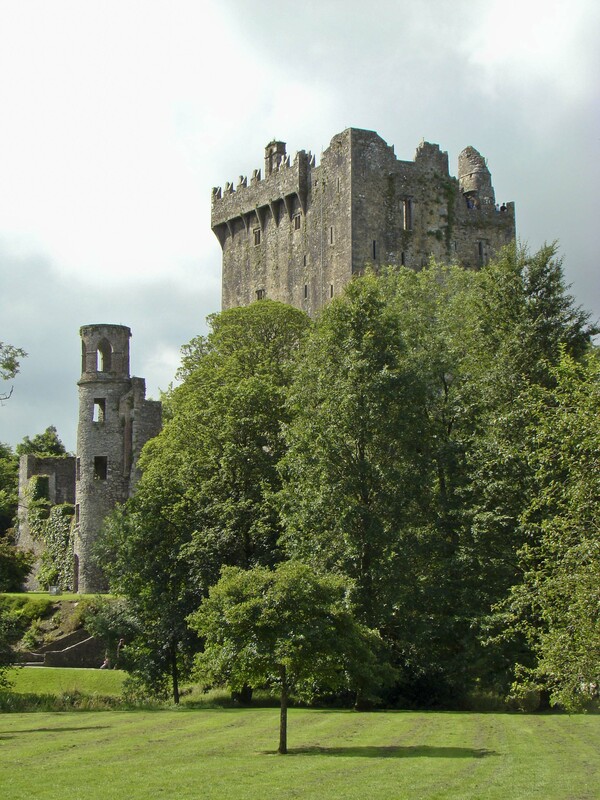 The greatest sight to see was Blarney Castle, which is home to the legendary Blarney Stone. Blarney was only 8 km from Cork city center and a bus ran regularly. 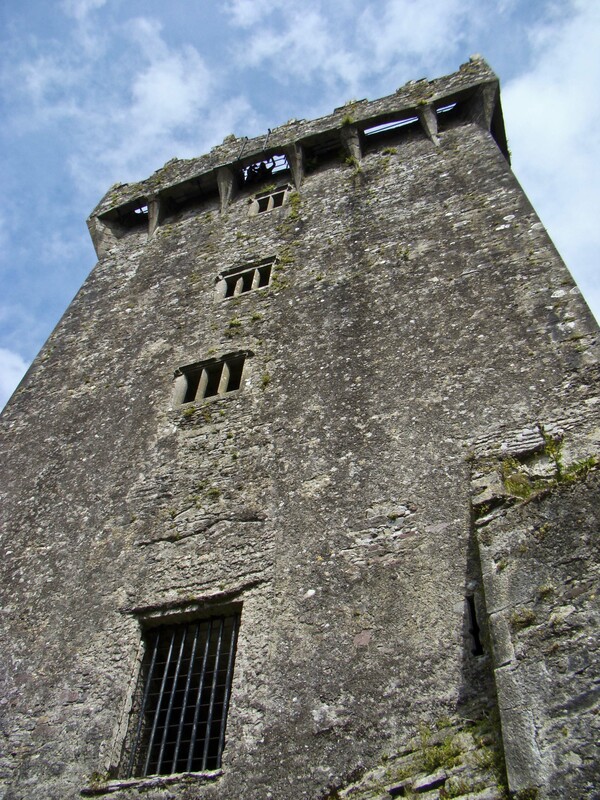 My first priority was to kiss the Blarney Stone that is located on the top of Blarney Castle. 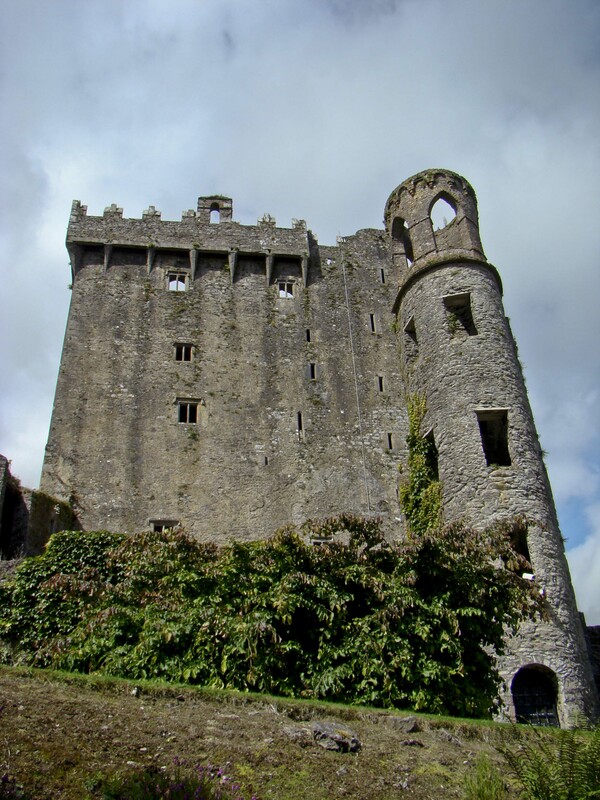 Traditional stories say that those who kiss the Blarney Stone will be endowed with the gift of gab. As an English teacher, that seemed like an important thing to have. The castle is located on over a thousand acres of beautifully wooded lands, which made it the perfect place to take a walk and enjoy the surroundings. The towering trees that draped over perfectly mowed grass provided a relaxing place to sit and enjoy the day. After walking some of the grounds and roaming through the trees, we came to the castle. As we approached the castle, its massive size could truly be appreciated. It towered over us waiting to be climbed. As we walked to the top of the spiral, stone staircase, a hint of claustrophobia sunk in. The staircase was only about two feet wide and the steep steps were crumbling. Each step was a journey through time and the walls became alive within my imagination. 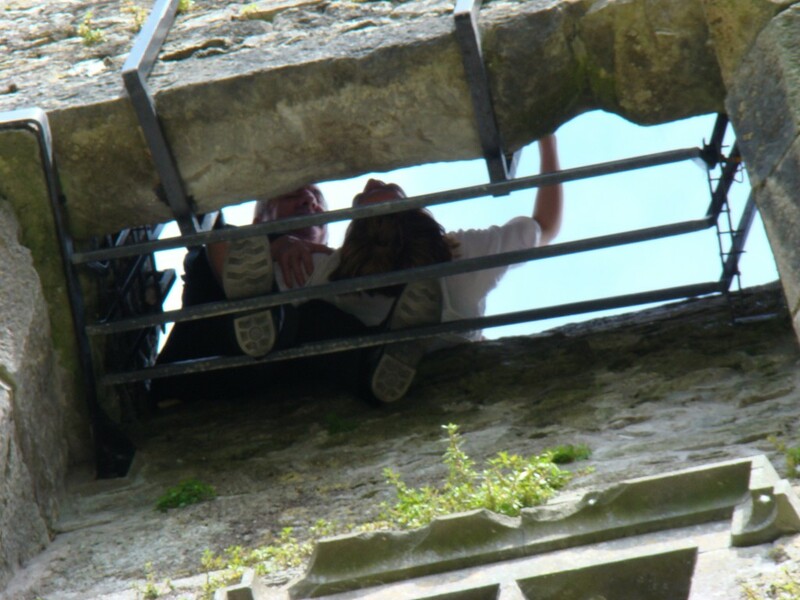 Finally, we reached the top of Blarney Castle and we waited anxiously to kiss the stone. It was much higher than I expected and I worried about falling to my death. I lay down on my back while an assistant held my lower body. He kept telling me that I needed to slide down further. Lying upside down on the top of a castle to kiss a dirty stone didn’t seem as appealing to me at that moment. Those three bars and a strange man holding my lower body are all that are keeping me from falling to my death. If Mick Jagger and Winston Churchill can kiss this thing, I guess I can too. I continued to slide my body further down the wall and I finally kissed the stone. I am not normally one to throw hygiene to the wind, especially to kiss a stone where locals are rumoured to pee, but legends can be powerful things. If this stone really gave people the “gift of gab”, it was something I was willing to try. As we ascended the stairs, we noticed a small, hidden room called the Murder Room. 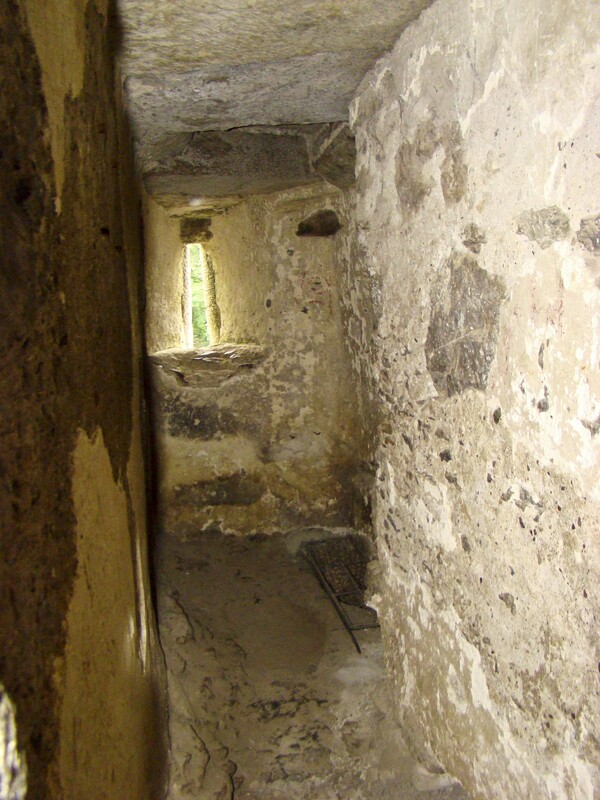 Guards would hide in this room and they would pour hot liquid onto unwanted guests or attackers that approached the castle. It was interesting, and barbaric, to see the forms of protection that were used in the castle. After the castle, we searched through the caves and dungeon below. As the pitch black of the dungeon surrounded our bodies, I worried about spiders and unwanted guests bothering me. I wondered if they had some form of protection for unwanted animals. I could not see more than two feet in front of my face. I kept taking pictures just to see the flash of the camera. 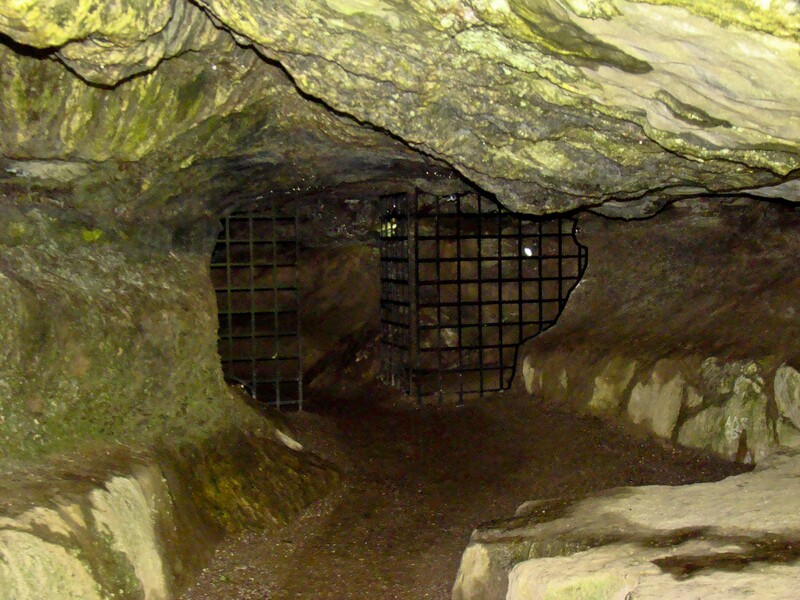 All that I managed to see in the dungeon and the caves were my dirty feet and a few dead ends. From the caves, we walked to the Wishing Steps. Legend says that a witch steals firewood for her kitchen in the forest and in turn she grants people a wish. People are required to walk down the stairs and then back up with their eyes closed to be granted their wish. There were 28 steps that were wet from the recent rain. With the slipperiness from the rain and the lack of rails, I took me forever to make it up the steps. I tried to think of something else so I would not open my eyes. My husband tried to guide me when he honestly thought I was going to hurt myself, but he spent more time laughing than guiding. After what seemed like an hour of manoeuvring backwards up the steps, I successfully made it to the top. The trail continued through beautiful oak trees and waterfalls. 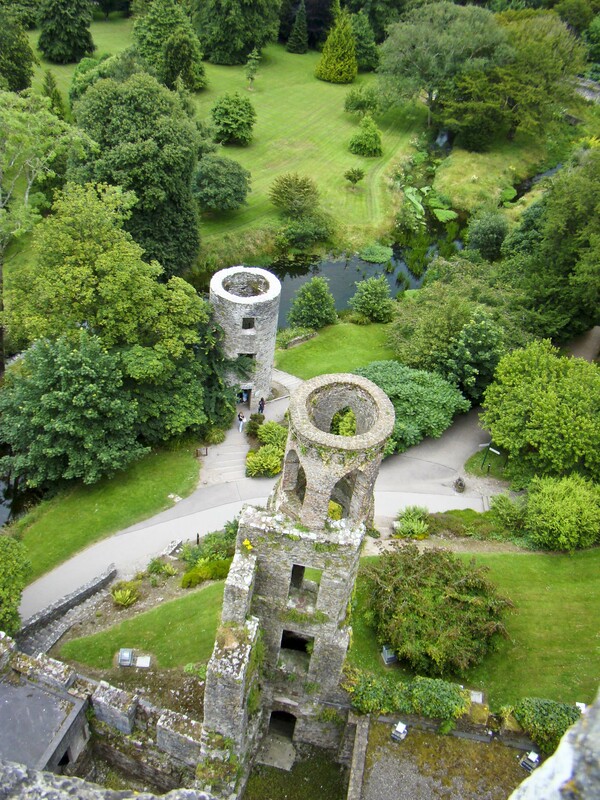 We spend several hours walking around Blarney Castle and taking in all of the sights. I wanted to see a castle that was still lived in today, but Blarney Castle was beautifully landscaped outside and mysterious inside. It was just as interesting to imagine what the castle would have been like inside. I could create furniture and surroundings that pleased me. There was no way that I could be disappointed because I could imagine whatever I wanted. Blarney village was a charming, breath of fresh air but it was hardly somewhere to spend the night. We decided to catch the bus and continue our journey.